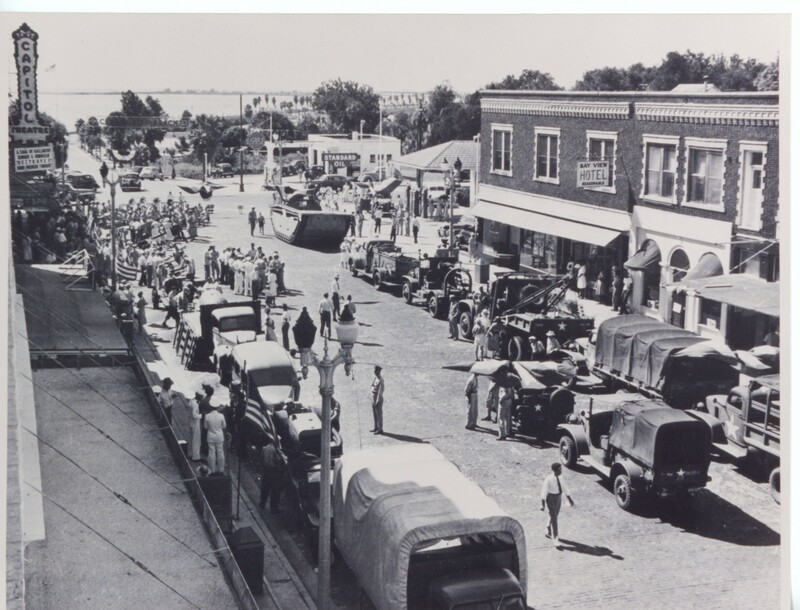 A photograph collected during a digitization day depicts an army convoy moving through the streets of Clearwater, Florida. Image courtesy of the Clearwater Public Library System. Clearwater Public Library has a longstanding commitment to making historically-significant resources available to the public by putting them online. For the past decade, the library has been digitizing issues of the Clearwater Sun newspaper, which was published between 1914 and 1989. In celebration of its 100th anniversary and with funding from the NEH, the Clearwater Public Library extended this initiative to its patrons by hosting digitization days at each of the library’s branches during 2016. "Roebling Alligator," cast aluminum souvenir, circa 1938, given to VIP attendees by Donald Roebling, at the unveiling of the Roebling “Alligator” amphibious vehicle in Clearwater, Florida. Image courtesy of the Clearwater Public Library. Community members were encouraged to bring historical artifacts, documents, and photographs to the library, where librarians would digitize them. These items included ephemera such as photographs, newspapers, and vintage menus that document the region’s history. Other items held national significance: souvenirs from the 1935 launch of Donald Roebling’s “Alligator” amphibious vehicle, which was repurposed by the U.S. military during World War II to great effect. In subsequent events, the library partnered with the county genealogical society and two retired professors to offer talks about the relationship between digitization and personal genealogy research, as well as about the history of Clearwater and Pinellas County. 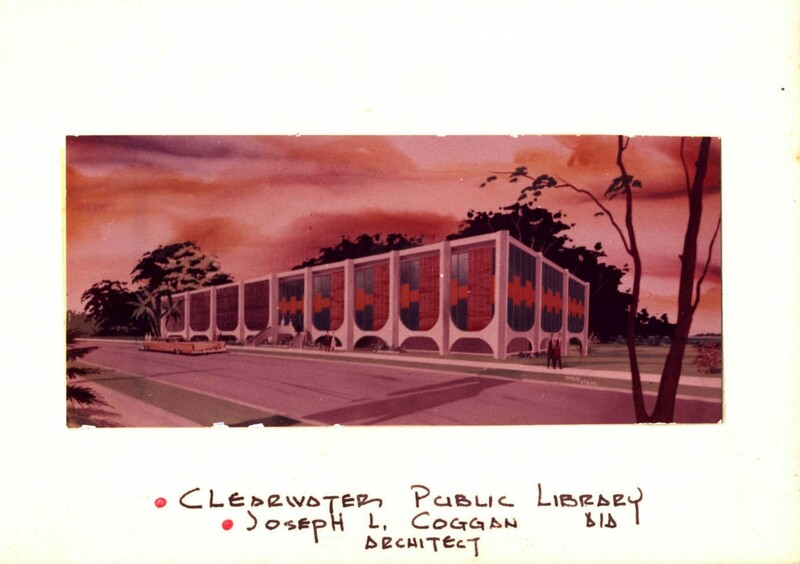 An architectural rendering of Clearwater Public Library, c. 1973, which was collected during a digitization day. Image courtesy of Clearwater Public Library. The NEH-funded program helped the Clearwater Public Library make connections with other local organizations and encouraged it to continue offering digitization services to its patrons. The library has helped the Clearwater Historical Society and the local branch of the Daughters of the American Revolution scan important records. With the Pinellas County Historical Society, it has put decades worth of yearbooks from Clearwater High School online. And the library is repurposing the scanning equipment it purchased with NEH funding: in January 2018, the library opened a digitization lab on its fourth floor, where, with expert assistance, people can scan their important documents and even convert home movies from VHS to digital formats.